TheBrain is the most powerful way to capture, organize, and share your notes, files, and web links across all your devices. Organize and find everything the way you think. Seamlessly sync across Windows, macOS, iOS and Android devices. Connect notes, web pages, files and more all in one place. 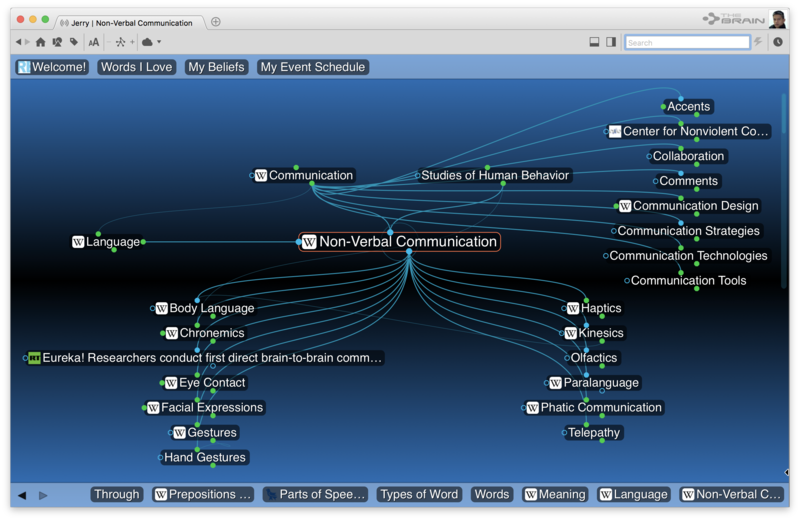 TheBrain visualizes networks of knowledge like you've never seen before. As you shift focus from topic to topic, TheBrain moves right along with you, showing your information and all the connections you've made. It's a natural extension of your thinking. Now you can see how things are connected and you'll never forget or lose an idea. Know more. Map your mind. There are a lot of connections in your head, but unfortunately sometimes they don't last. With TheBrain, your digital Brain captures all that intelligence for playback just when you need it. With TheBrain you're never more than a few seconds away from any piece of digital information. 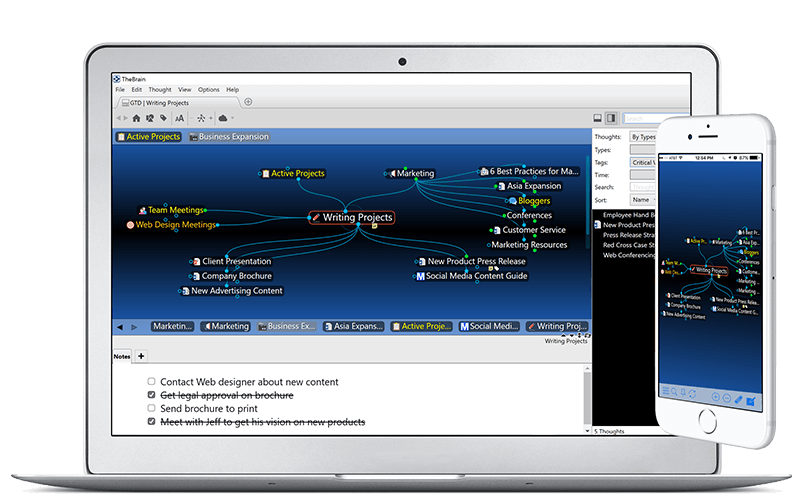 Web pages, documents, images, notes... From people and projects to ideas and task lists, it's all there in an instant. Take control by visualizing all your open loops, tasks, and ideas in your Brain. Sync makes your ideas and to dos available from your desktop, web browser, or mobile device anytime. Millions of downloads in over 150 countries. TheBrain is the trusted repository of all kinds of people and knowledge. From business leaders to visionary artists. From scientific data to marketing plans. When you start your Brain, you join a community of people who share your passion for knowledge and getting things done. Industry analyst and TheBrain user Dan Rasmus gives the scoop on TheBrain 10. Recorded Webinar: Stop Searching. Start Finding. See more news and articles on TheBrain Blog. Join us once a week at 10:00 am Pacific Time. Watch live and get your questions answered. Sign up. Prefer to get more information first? Learn more.